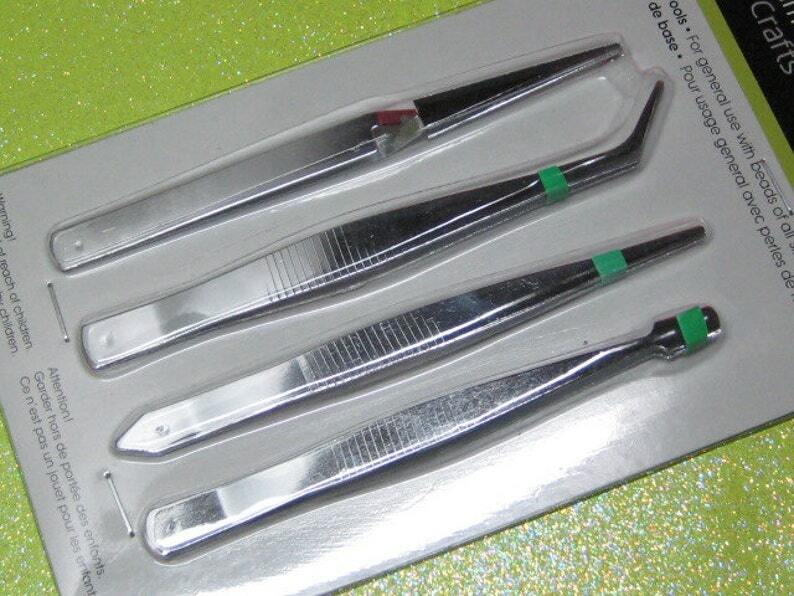 1 straight tapered end, 1 broad tip style, 1 reverse action straight, and 1 tapered angle style. Smooth interiors. All sets come sealed in package. Tapered straight - Can provide accuracy in holding, probing, and arranging of small objects. Broad - Great for picking up flat objects, and larger materials. Reverse action- Has a delicate reverse spring action to grasp items when finger pressure is released. Comfortable control without dependence on finger pressure. Tapered Angle- The angled tip can provide a better view of your work and at the same time great maneuvering and positioning of small objects. Very nice transaction. Thank you. Great item for my projects! Just as described and received quickly! Shop owner contacted me right away about my order, which I really appreciated. I highly recommend this shop. perfect every type of tweezer I could use.